Bumper stickers are great for promoting your business, your politician or cause, or any funny quotes and graphics. Upload any logo or create your own custom bumper stickers using our Sticker Editor. Take advantage of traffic jams and make custom bumper stickers for your car with your business logo or personal expression! 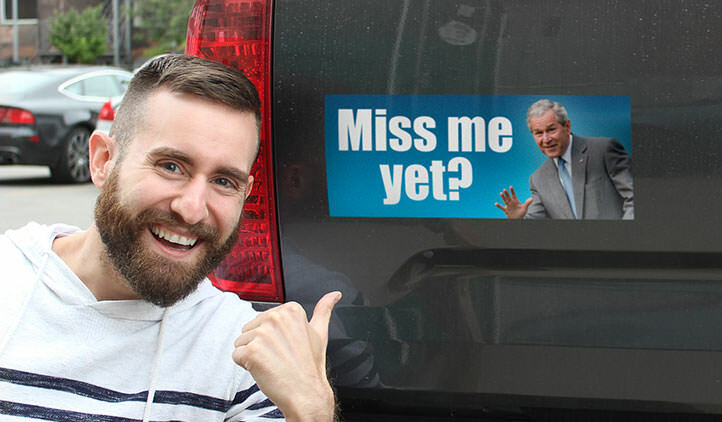 With no limit in size, shape and quantity, the messaging possibilities of bumper stickers are endless. Get creative and make your own bumper stickers that can be used to help brand your business or show off your personality! Our custom bumper stickers are a great way to represent your favorite teams, brands, and anything else that represents you! So why not make bumper stickers of your logo, your favorite charity, your lifestyle, or funny bumper stickers to brighten up the traffic jam around you? Custom bumper stickers provide an easy way for you to advertise your company every time you’re on the road. 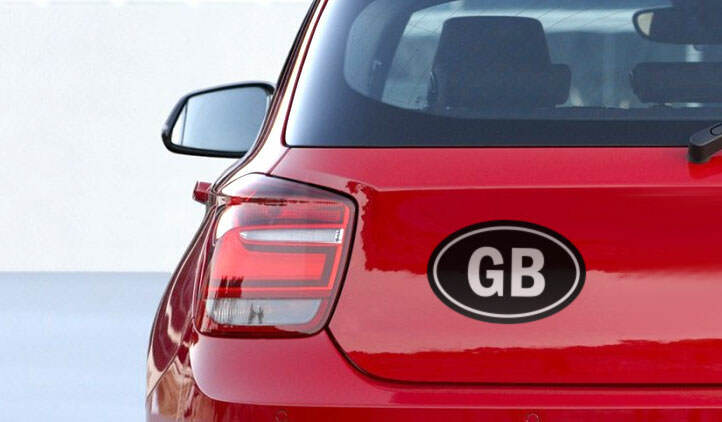 You can create bumper stickers with your company logo or social media handle and stick them anywhere on your car as they are easy to apply and remove without leaving any residue! 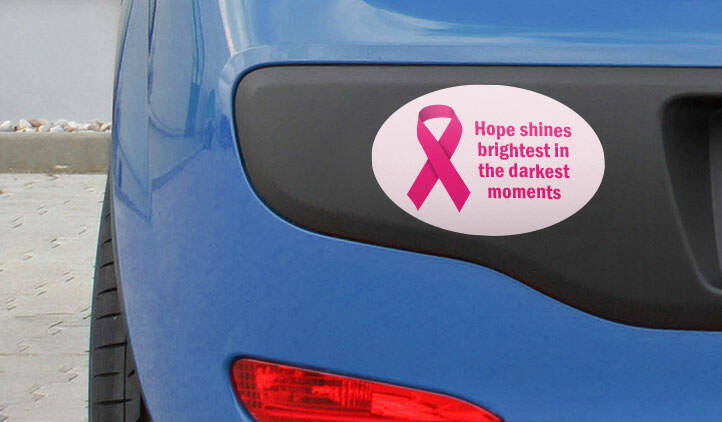 You could also give bumper stickers to customers for free and offer a discount on their next visit if they put them on their car for extra advertising. Along with custom bumper stickers, you can also create custom car decals and car stickers to promote your business or express yourself! 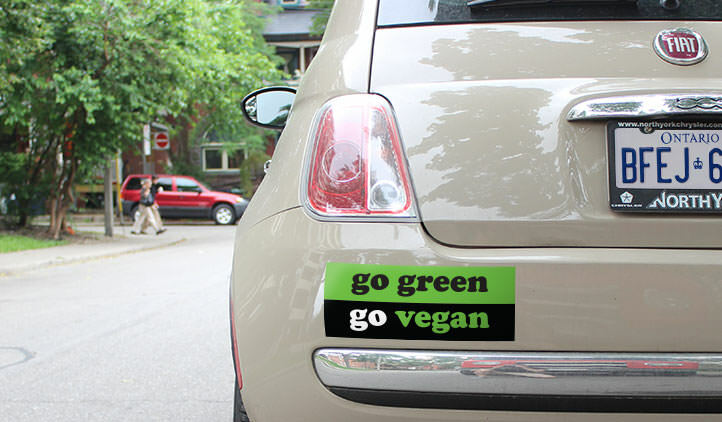 Your custom bumper stickers are made out of durable vinyl that is also writable with permanent marker, waterproof, and weather resistant, so they will stick vibrantly for years to come! There’s no need to worry about custom bumper stickers creasing as they are bubble-free and will apply smoothly on any surface! Use our bumper sticker maker to create your rectangle, oval, or custom-shaped bumper stickers by uploading your own artwork or browse through thousands of designs from our art gallery. Make your brand or what matters stick and drive in style with StickerYou’s custom bumper stickers! As purveyors and manufacturers of stickers, you would expect that we, here at StickerYou, would approve of all sticker creations. This is just not true. While we can appreciate the power and draw of these sticker gimmicks, we believe everyone is a little bit tired of seeing them everywhere. We speak of the stick figure family car stickers.